Kingdom of Morocco is characterized by rugged mountainous interior and large portions of desert. It is one of only three countries (with Spain and France) to have both Atlantic and Mediterranean coastlines. The largest city is Casablanca; other major cities include Marrakesh, Tangier, Tetouan, Salé, Fes, Agadir, Meknes,Oujda, Kenitra, and Nador. A historically prominent regional power, Morocco has a history of independence not shared by its neighbors. It is a melting pot of cultures made diverse by successive newcomers. Communities here live in harmony, each respecting others' differences. 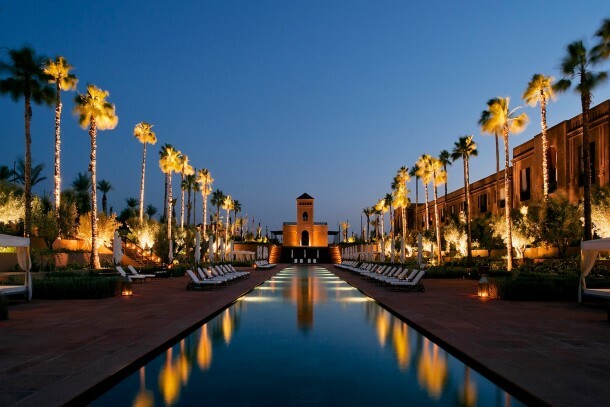 Morocco offers such geographical diversity that you can leave the beautiful beaches of Agadir in the morning to find yourself at the foot of the Oukmaiden ski slopes in the afternoon, before coming back down to experience a beautiful evening in the palm groves of Marrakech. Morocco's official languages are Berber and Arabic. Moroccan Arabic, referred to as Darija, and French are also widely spoken.